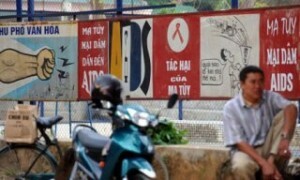 What happened in August 2012: news and events relating to Vietnamese in Vietnam and around the world. Welcome back everyone from summer vacation! Special thanks go to Julie Nguyễn for providing many of the news links for August. • “AIDS-like symptoms” affecting Asians? People, I smell discrimination, genetic discrimination, that is. Is it? Read and decide. • A new indie thriller, $upercapitalist, will be rolling out with beautiful and adorable actress Kathy Uyên. For a glimpse of how cute she is, see this 2010 Kristine Sa interview, Kristine Sa & Kathy Uyen (“Heart To Heart” on SBTN short clip). • A verdict was rendered on a bizarre incident that occurred in 2010. The case revealed that racial violence can happen anywhere and can come from any age groups. 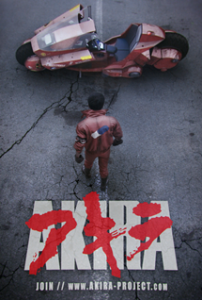 • There’s exciting news for fans of “Akira.” Producer/director Nguyen-Anh Nguyen, a die-hard fan himself, is working on The Akira Project to create “a live action fan trailer of the renowned manga-turned-anime.” A four-day shoot is planned for September 2012. They desperately need funding. Help them if you can. • Asian Americans are divided over this controversial on-going issue of race-conscious admissions that affects all college-bound Asian-Americans. • It’s sad reading about premature cancer deaths among Vietnamese Americans, especially because the reluctance among the first and second generation groups to obtain medical help has been documented since the 1980s. The situation may be changing, though, at least, in the southern California areas, thanks to medical professionals, like Jacqueline Tran, Carolynn Nguyen, Ngoc Bui-Tong, and Bichlien Nguyen. I like Tran’s clever pitch to her patients: “If you take care of your health, then you will be here to care for your family.” Props to all you wonderful healthcare professionals and thank you for your dedication to helping our community. 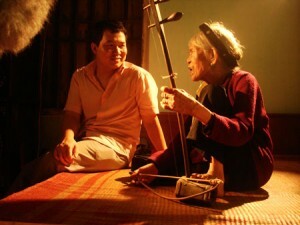 • This is an article about a documentary on Ha Thi Cau, one of Vietnam’s last xẩm singers. It is good to know that a few young singers are continuing this musical genre. • Awesome! A 1,000-year-old Chăm tower is unearthed in Phong Le Village, Cam Le District in the central city of Da Nang. What a wonderful opportunity for someone to document the discovery and share it with others. Hint! Hint! • Viet Nam seeks nuclear power infrastructure. I don’t know why but the image of that three-eyed fish from the Simpsons just popped into my thought. D’oh! • This story gives us a peek into the lives of several families whose hard work through famine, war, and the challenge of fast-food have insured the viability of their family food businesses. • A few dedicated artists are working to keep cải lương alive. The article has some very interesting historical information. • The after effect of Nguyen Duc Kien’s conducting “business illegally” is being felt in Vietnam’s stock market. • More bad news for Vietnam as the country’s list of economic problems continues to grow. The Communist Party’s economic management is stiffling recovery prospects for the country. • Here’s a bit of good news: Vietnamese anti-trafficking authorities reported that since 2009 they have rescued 398 people who were being trafficked into China. • The Communist Party has acknowledged that corruption is extremely prevalent in Vietnam. However, finding a solution remains problematic. • “Provocative act” and “strong-arm” tactics by China? Get outta here. No, not China. Let’s see, oppressing the Vietnamese people for one-thousand years, invading northern Vietnam in 1979, killing Vietnamese fishermen, ramming Japanese ships, and invading islands in the Philippines. Oh, yeah. Now, I remember. 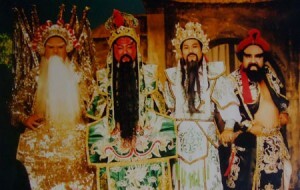 Yup, that’s China–provocative acts and strong-arm tactics. • Professor Lien-Hang Nguyen opines on myths about Vietnam and on the continuing implications of those myths. • A managing director of the Institute for Studies of Society, Economy and Environment in Vietnam suggests that the country should legalize prostitution. • After spending over $200 billion destroying Southeast Asia, and spraying “about 20 million gallons of Agent Orange” in Vietnam, U.S. officials think the $43 million “program” is going to solve the AO problem. Oh, happy days. What? Who said, “too little . . . and very late”? Oh, right, I forgot. It’s the American Way: delay and don’t pay. • Alright, folks, you need whiskey for this one. Here are some complaints about the government that you’ve heard before: “Trumped-up charges,” “communist rulers were either afraid of China, or, worst case, acting on China’s behest,” and “the party’s oppression of free speech runs counter to the people’s patriotism.” Well, “Spring” is around the corner. Get my drift? Nevertheless, compatriots, read on. • Speaking of the Communist Party, is this a case of them addressing an important social issue or a case of them using the issue to deflect the general public’s discontentment with the government? • Recently, Japan, South Korea, and Russia have joined the party of six countries–Malaysia, Indonesia, Brunei, Vietnam, the Philippines, and China–that are claiming territorial rights in the East Sea. Of course, everyone wants the party to go their way, but with China flexing its muscle uncontested the result will probably be the China way. While “all eyes are now on the U.S.,” unfortunately, the U.S. is reluctant to get involved. • This is not news, but this site lets you nicely view an interactive map of the territorial claims in the East Sea. • Experts warn that the Java plugins used in internet browsers leave PCs vulnerable to hackers. If you decide to disable Java, read the section pertaining to your browser. 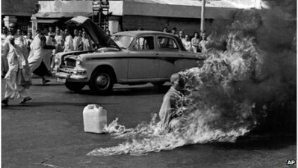 • Photojournalist, who photographed burning monk Thich Quang Duc in 1963, dies of Parkinson’s disease. • Study on benefits of speaking two languages promises good news for low-income children. In practice, though, it will still be a challenge for those low-income families. • A study finds only 30 minutes of daily exercise yield weight loss. Yay! I can now spend that extra 30 minutes each day watching TV and eating potato chips. • This is old news concerning the recent Adobe Flash Player security updates, but I thought it might be worth repeating in case you had missed it in early August. • “[T]his country has not laid its ghosts to rest . . . the deaths of nearly 2 million people.” What can one say except that it is another tragic consequence of American intervention in SEA. • For the few of you who did not read the news while you were on vacation in early August, here’s a somewhat heartwarming story to ease you back to reality. • Okay, folks. There’s good news in this story: Laotian women are working to clear 46 million bomblets from US cluster bombs, “the deadly legacy of America’s bombing campaigns of 1964-1973.” Unfortunately, about 50,000 people have been killed or injured since 1964 as a result of these unexploded ordnance. Umm, so I guess this news is mostly depressing, but read the article for the “good” news. I suggest you first have some chamomile tea before you continue reading. • By now your brain is probably mush from all the news; so here’s a non sequitur for you. • One last thing: I know this didn’t happen in August, but I would like to include this moving talk from Tan Le to remind us of our past, of our present. Once in a while we need to go back into our hearts, away from the distractions of daily activities. Warning: facial tissues may be needed, and dormant feelings and emotions may be awakened. Please take the time to rate this post (above) and share it (below). Ratings for top posts are listed on the sidebar. Sharing (on email, Facebook, etc.) helps spread the word about diaCRITICS. And join the conversation and leave a comment! 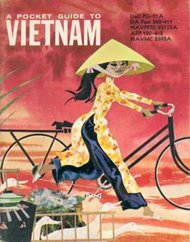 Any important Viet-related news we miss? What about major unforgettable events?